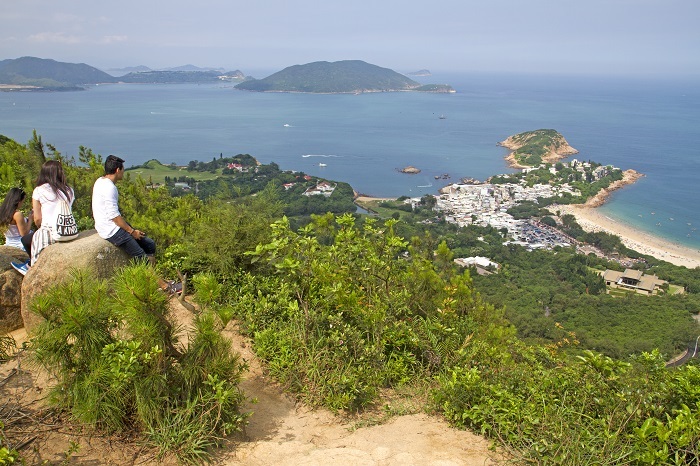 Long a favourite for more mature British travellers, Hong Kong is looking to broaden its audience, seeking to welcome a younger clientele and make them aware that there is more to the destination than the bright lights of Kowloon. Here Breaking Travel News editor Chris O’Toole speaks to Dawn Page, director, UK and northern Europe, Hong Kong Tourist Board, to find out more. 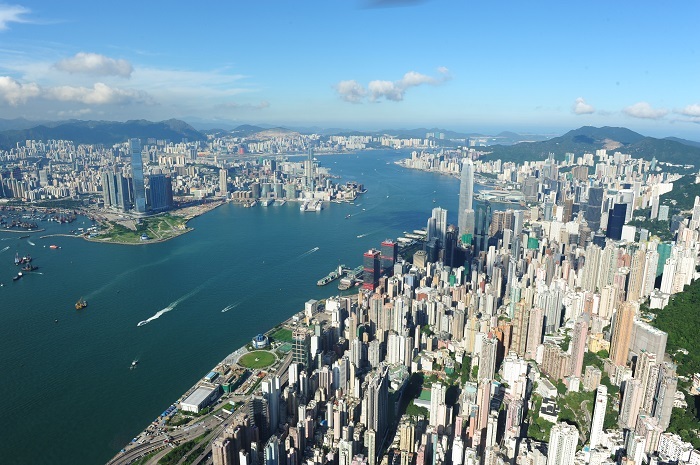 Breaking Travel News: How is the UK faring as a source market for Hong Kong as we head into the second quarter of 2018? Dawn Page: Last year we had 555,000 visitors to Hong Kong from the UK, which was actually quite flat, an increase of just 0.8 per cent. However, for the first three months of this year, we are actually eight per cent up, to just over 155,000, which is very positive. I would love to say it was all down to us – but I cannot argue that people are more aware of Hong Kong because there has been such a long relationship between Hong Kong and the UK. What we have found, over the last 12-18 months or so, is air capacity has been increasing. Cathay Pacific has introduced new flights from Manchester, which has increased from three a week to daily, while Gatwick is also daily. Traditionally air capacity to Hong Kong has been quite tight. But, with the strategic position halfway between Europe and Australasia, we see a lot of stop-over traffic, and this additional capacity has boosted that. The Netherlands, for which we are also responsible, has actually been a little flatter, with 21,086 visitors in the first three months. There has been no increase in air capacity there, but that said, Cathay will be launching services from Brussels any day now and that may have an impact. BTN: How would you describe a typical trip for a British traveller, is Hong Kong a base to explore more of Asia? DP: For our market, over 90 per cent of our passengers are stopover passengers. They are going somewhere else, but the average length of stay is 4.5 days, which is one of the longest from any overseas market. We tie with Canada on this every year and are trying to get the edge over them on this! Hong Kong has a lot of repeat visitors, 49 per cent are repeat visitors. These guests, first time around, tend to stay for 24-48 hours, breaking a journey down to Australasia for example. When they come back, they tend to extend their stay. 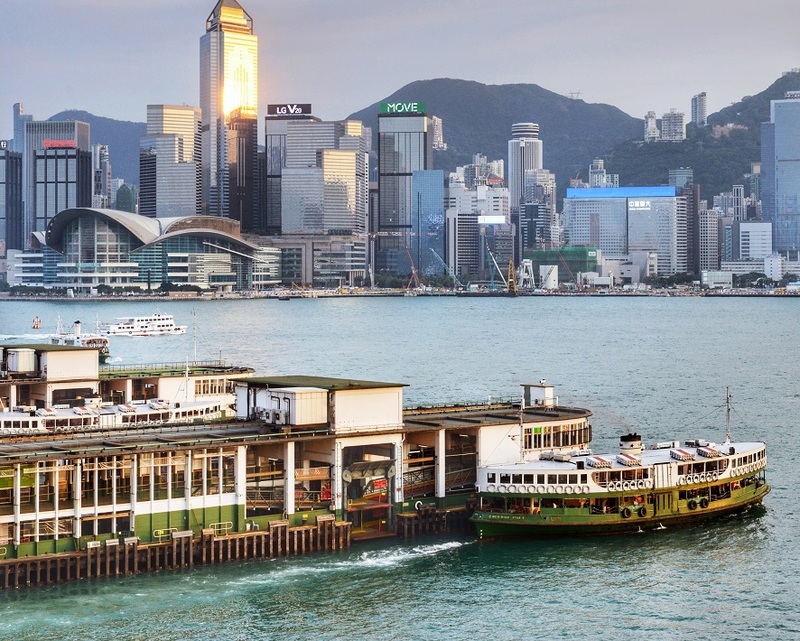 Hong Kong is very compact, but there is a lot to do, and for the first day or two guests tend to do the bucket-list; the StarFerry, up to The Peak. But when they come back they try and get a little more under the skin of the city. We have been very lucky with Cathay Pacific, as they have such a great route network beyond Hong Kong as well; we are the obvious place for people to stop. Australia and New Zealand are the popular destinations for British travellers, on the kangaroo route, and Hong Kong is a great stepping stone for that. I tend to say that Hong Kong is ‘Asia made easy,’ people can come to Hong Kong and it is very familiar, certainly for the British. There is a Marks & Spencer on the corner, but turn down an alley way and there is also old Hong Kong is there as well. BTN: Hong Kong is famous for shopping and nightlife, but there is more to the destination, away from the city itself? DP: One of the main things we have been focusing on over the past 12-18 months is letting people know that there is more out there. People think of Hong Kong, they think of the skyline, and that is it. But the message we are trying to get out is that 70 per cent of Hong Kong is green, there are nature parks, over 200 islands, and is very easy to go hiking in the morning and still spend the evening on a roof top bar – it is one of the few places that offers that contrast. 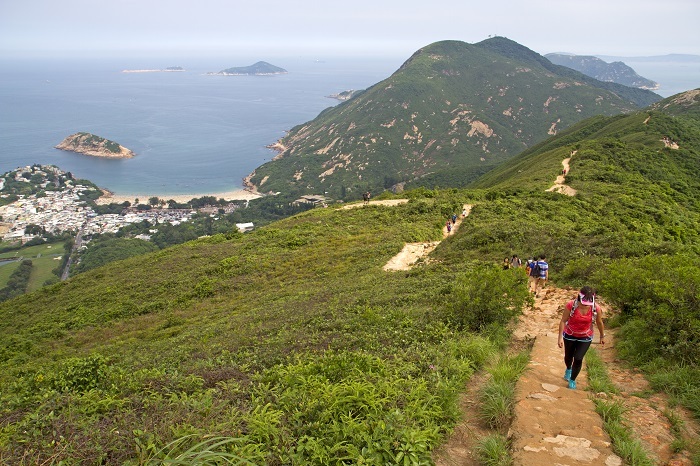 We have tried to promote this, the green tourism, hiking and the trails; a different side of Hong Kong. There is more than perhaps if you just scrape the surface. Some of the more off-the-beaten-track areas are also being promoted, for those visiting for a second or third time, and perhaps to entice them back again. BTN: Is it possible to explore yourself, or would a destination management company be preferable? DP: If somebody is going down to New Zealand or Australia, on a three or four-week itinerary, they will tend to go to a travel agent and have it worked out for them. It can be a big investment. We work closely with the trade, with Cathay Pacific, British Airways, and we run cooperative campaigns with partners. We have just finished a business-to-business campaign with Travel 2 and also with Gold Medal and there has been a consumer campaign with Travelbag. We work very closely with the operators, because that is the call to action. As the tourist board we do not sell anything, what we try and do is inspire people and give them a reason to go. It is then down to the tour operators to close that deal. BTN: You have also begun offering a live chat channel to operators here in the UK, as they seek to find out more about the destination? The live chat is handled through the Hong Kong office, so that works on their time. But then we have a trade team here in London. So, this has really extended the time that agents can actually speak to us. There are now 16 hours in the day people can get through to a live person. This has been received really positively; to get through and speak to somebody who has been there and experienced it. We have always had our training scheme, Hong Specialist Programme, but have tired to create a sense of community. We recently held our inaugural Hong Kong Specialist incentive, a global incentive, taking agents from around the world, and four from the UK, out there. We will be doing that again this year. BTN: How about the events calendar in Hong Kong, what have we got to look forward to in 2018? DP: Hong Kong has a year-round calendar of events. For example, we just had the rugby sevens, and that is one of those ‘must see’ events that is intrinsically linked with Hong Kong. We have the Cyclothon, which is happening in October, for the third time. For the first time it is also officially accredited on the international league table of cycling races. There is also Formula E, which is in its third season, which has gone from strength-to-strength on the road track – with the magnificent backdrop, it is really something special. BTN: Hong Kong is poised to welcome the opening of the Hong Kong–Zhuhai–Macau Bridge – what difference will that make to tourism? DP: The bridge is going to be very interesting for tourists and business travellers – as well as people from the Guangdong Bay area. The bridge is 55 kilometres long and has been almost finished for such a long time and now we are putting the final touches in place. What this means is that people can reach Macau in 35-minutes by road and it will open up Guangdong to travellers and make mobility to Hong Kong and the mainland a lot easier. That said, the hydrofoil is not difficult by any means, it takes just 45 minutes. But the bridge just gives people another option and it just makes it easier to travel within the region. There is also the express rail link, which is going to open next year, and will cut the travel time from Hong Kong to Beijing to 11 hours. This sounds like a lot, but it is down from the 24 hours it currently takes. BTN: The UNWTO has raised concerns about overtourism this year, has Hong Kong seen any evidence of this? DP: People are still very welcoming toward the tourist sector, they realise how important it is. Tourism has been an intrinsic part of Hong Kong for such a long time. Hong Kong is compact, but it is varied, there are still areas where tourists do not tend to go. There is a nice balance there. If you go into Causeway Bay at any time it is going to be busy, but you can just head a little out of the city or to some of the other districts and it will be a lot less touristy and a lot more authentic. BTN: How about on the hospitality side, have there been any properties coming onto the market that have caught your eye? DP: You talk about Hong Kong and people think about the Mandarin Oriental or The Peninsula because they are such great hotels; the flagships that everybody knows. But Hong Kong has so many boutique hotels, open to people on all budgets. A couple of interest that have opened recently include the Hotel Jen, from the Shangri-La Group, which is a much more reasonably priced proposition on the west side of the island. There is also the Hotel Vic which is due to open in North Point, on the other side of the island, in September, and that will be priced at around £150 a night, so there is enough for everybody. I think that is an important message to get across – there is so much hotel stock in Hong Kong – and over the last few years the smaller, boutique properties in particular have expanded. Our traditional market has been those who are 55-plus years-of-age, those who come back for more than one visit. We made a conscience decision a few years ago to seek out a younger audience, not to alienate our existing market, but to focus on those who are 25-40 years old. Hong Kong has a lot of cool designers, boutique hotels, great shopping, and not just electronics, but clothing, arts, and the like. This has worked; the breakdown of visitors is now an even split between the over 55s and the under 55s – which it never used to be. BTN: There is also a serious side, with business travellers? DP: MICE is also very important to Hong Kong, as it is to every destination; business travellers tend to spend more when they arrive, they come in larger numbers, and this helps visitor numbers. But we have always been very successful with MICE visitors – last year we saw 1.9 million business visitors, worldwide. There has been a big focus on trying to develop more MICE venues, and not just the convention centre. Slightly different spaces, including Harbour City, which is located at Ocean Terminal, where the smaller cruise ships come in. There is a shopping centre there and some hotels and they have opened a new deck that can accommodate 1,000 MICE delegates in an open-air area with amazing views over the city. There is also the cruise terminal which offers an alternative MICE venue. We are trying to educate people in such a way that they realise that, if you are hosting a meeting, it does not necessarily need to in one of the traditional venues, that we have some slightly alternative spaces you can use. There is also the Hong Kong Rewards programme, for meetings organisers, which offers them incentives depending on the size of the event they bring. BTN: Finally, the cruise market, perhaps a little unknown from a UK perspective? DP: The cruise market, from the UK point of view, is a market that we have started working with closely over the past couple of years. We have been working with Royal Caribbean, Igloo, and Celebrity, to make sure Hong Kong is on the map. This is not just for stopovers, but also for homeporting. It is an interesting market; the cruise terminal is state-of-the-art and can disembark two ships, with over 3,000 people each, simultaneously. From Britain, people fly out and the cruise terminal is right in the centre of the city, a great location. 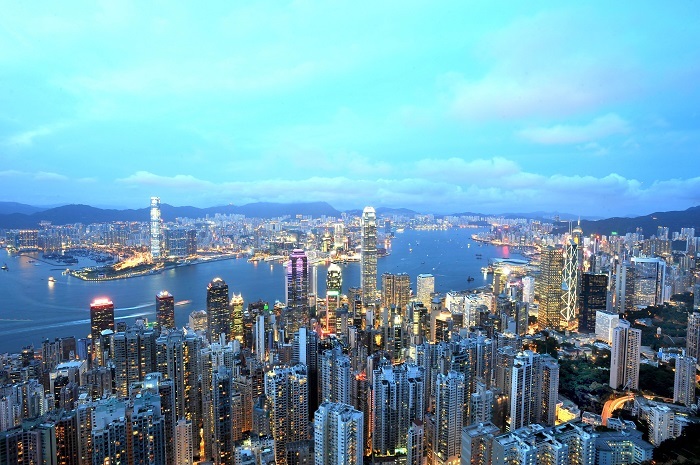 For more about visiting Hong Kong head over to the official website.